ChuDat, also known as simply Chu, is an American professional smasher from Falls Church, Virginia who mains the Ice Climbers in Melee. He is widely considered to be the greatest and most notable Ice Climbers player of all time and currenly one of the best Ice Climbers players along with ARMY and Bananas, being widely regarded as the primary influential driving force for competitive Ice Climbers play in the community ever since the early metagame. His name originates from the phrase, 'true that,' as he stated in the Smash Brothers Documentary due to his obsession of the phrase. In the early times of the Melee scene, Chu joined the legendary crew H2YL, and regularly attended tournaments with them. He notably defeated top professional Jigglypuff main Hungrybox at Zenith 2012 to take 3rd place at the tournament. He is currently ranked 46th on the 2018 MPGR and was formerly ranked 1st on the MD/VA Melee Power Rankings. In Brawl, he is considered to be the best Kirby player, and also mains Kirby in Project M, and is considered one of the best Kirby players in said mod. ChuDat was ranked 4th on the final MD/VA Brawl Power Rankings, was formerly ranked 5th on the MD/VA Project M Power Rankings, and was formerly ranked 49th on the 2014 SSBBRank. He also plays Smash 4 competitively (albeit not to the same extent as Melee), maining Cloud, and primarily enters doubles. His best performance in Smash 4 was 13th in The Big House 6 doubles where he teamed with Puppeh, notably defeating komorikiri and SuperGirlKels. ChuDat previously mained Sheik, and was formerly ranked 9th on the MD/VA Smash 4 Power Rankings when he mained her. In addition to piquing the interests of the community at large about the Ice Climbers' metagame, Chu has also spearheaded the local community in Northern Virginia by hosting "NoVa Bi-weekliez !" at his parents' home. The tournaments have attracted a wide variety of top level competition including Mew2King, Chillin and Azen. His biggest original tournament placing in early smash was OC2 where he made an incredible loser's run. He had been known to frequently visit Southern California to spend time with the Hoang family, which includes Ken and Manacloud. For several years ChuDat preferred to represent the West Coast due to his friendships and close ties to California but this put stress on his relationship with the other members of H2YL. After a few years on the West Coast, (around when Brawl came out,) he moved back to MD/VA where he once again became one of the top smashers in the area and reestablished ties with the rest of the MD/VA scene. Chu Dat won a large number of the weekly S@X tournaments in Brawl, Project M, and Melee. In Brawl and Project M specifically, he became the top Kirby main. Due to his frequent results, he was sponsored by Mortality eSports along with Axe. However, Mortality dropped both sponsorships shortly before CEO 2015 which left Chu with little cash. For EVO specifically, a crowd fund was sponsored by Melee Hell (or MH) which sponsored enough cash for Chu Dat to be able to attend EVO 2015. He lost eventually in winners to Ice's Fox in round 2 pools. He then made an impressive loser's run, beating players including Silent Wolf and Westballz and winning a nail-biting set vs HugS to get top 8 before finally losing to Mango in losers, netting 7th at then the largest tournament in history. ChuDat started the year off with an impressive run at GENESIS 4, where he defeated Shroomed in winners but lost to Hungrybox in a close game 5 set. In losers, he defeated Crush and Wizzrobe before losing to Leffen to finish at 9th place. After his performance at GENESIS 4, he was voted into Smash Summit Spring 2017. He placed 7th at the tournament, notably upsetting Axe and 4-stocking Mango in the last game of their set. ChuDat was later invited to Smash Rivalries, where he defeated Mango for a second time before being defeated by Wizzrobe and Druggedfox to place 5th. Three weeks later, he travelled to DreamHack Austin 2017, where he had an impressive run. He notably beat Mango for the 3rd time in 2017 and strongly defeated Mew2King's Peach with Jigglypuff and Ice Climbers (the latter of which was a four-stock) and winning the set 3-1. ChuDat took Hungrybox to a game 5 in Grand Finals but ultimately lost to place 2nd. He then attended Battle of BC 2, where he won the entire event and double eliminated Mew2King. All these great performances lead him to be ranked at 7th on the Summer 2017 SSBMRank. After ChuDat's performance during the first half of the year, he placed 17th at EVO 2017, 9th at DreamHack Atlanta 2017, and 13th at Super Smash Con 2017, taking sets off the likes of Ginger and HugS. At Shine 2017, he earned his first top 8 performance of the second half of the year, defeating dizzkidboogie and Spark 3-0 and Westballz 3-1. In Loser's Top 8, he proceeded to defeat Leffen 3-2. However, a discrepancy in the use of UCF mandated that the set would be replayed. Leffen won the rematch 3-2, leaving ChuDat to place at 7th. After Shine 2017, ChuDat continued his strong performances with 3rd at DreamHack Montreal 2017 and 4th at Syndicate 2017. At GameTyrant Expo 2017, ChuDat was eliminated by Syrox and aMSa, leaving him at his worst performance of the year at 17th place. ChuDat then placed 13th at The Big House 7 and 5th at DreamHack Denver 2017. ChuDat ended the year at 11th on the 2017 SSBMRank. In 2019, the Melee community was considering to ban wobbling. He has stated that wobbling is definitely an unfair mechanic. However, he believes if it were ever to get banned, it should only be illegal against top tier characters. Although this controversy has been a huge debate over the years, to help Melee seem more interesting to watch, this has been heavily considered since the release of Super Smash Bros. Ultimate. ChuDat is the only Melee Ice Climbers player to make it to Top 8 at EVO twice, EVO World 2007 and EVO 2015, showing that he has stood the test of time. The other Ice Climbers to make it to Top 8 are Fly Amanita and Wobbles. ChuDat is the first and only Ice Climbers player in Melee to ever take a game over Armada's Peach in tournament, doing so at Heir 3. He would take another game off of him at HFLAN Melee Edition 2017 and Battle Arena Melbourne 10. ChuDat is the second voted-in player to make it to Top 8 at a Smash Summit, doing so at Smash Summit Spring 2017. 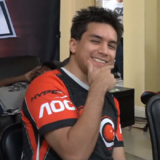 ChuDat is very well known for his signature pose, on which he either leans back or to one side a bit while smugly putting his index and thumb on his chin, as if thinking deeply. This is often accompanied by the catchphrase "YAYUUHHZZ!". This can be frequently heard after Chu wins a match. ChuDat is somewhat notorious for eating raw onions on stream, which started during his campaign for Smash Summit Spring 2017. ChuDat was involved in a controversial incident at Shine 2017, in which Chu won 3-2 in losers' eighths over Leffen. However, UCF was turned off during the set, so it was ordered to be replayed; Chu lost the rematch 2-3 and was eliminated at 7th. This page was last edited on April 22, 2019, at 00:17.